Great demonstration/layout showing process of woodblock printing! 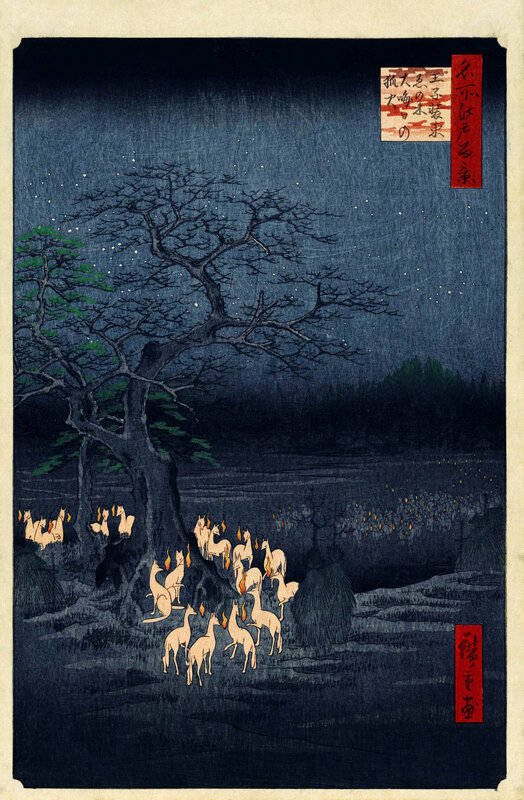 Asai Ryōi, Ukiyo Monogatari (Tales of the Floating World, c. 1661): "living only for the moment, savouring the moon, the snow, the cherry blossoms, and the maple leaves, singing songs, drinking sake, and diverting oneself just in floating, unconcerned by the prospect of imminent poverty, buoyant and carefree, like a gourd carried along with the river current: this is what we call ukiyo." Water themed exhibit shows Hokusai’s depiction of rivers, waves, ocean -- but framing each work as a “prototype” or precursor to The Great Wave feels false and misses the point that this wasn't some crowning work he was building toward but simply a distillation of many influences and ideas, an exemplar of an existing style, etc -- tone down the tone! Interesting that water is dynamic and Fuji is static, and this sense remains even in a static image! Outlining technique almost reminds me of Botticelli (a favorite); why does this appeal to me so much? Hard to figure out how Ichikawa is playing these multiple roles → did they swap him out for a body double in Kiyoyuki’s death scene? How can people genuinely express their faith when there are cameras everywhere? Very different feeling here from the spiritual suspension at Bongeunsa Temple in Seoul → maybe I need to return in the middle of the night? What do we call ritual devoid of belief? Love the idea of a square plate (for tea) used as a “canvas” for painting -- feels different somehow from other decorative ceramics, maybe because they are generally round? Everyone is wishing for things for themselves and for their families, prayers keep to the personal realm -- e.g. nobody wishing for an end to conflicts in the Middle East, a resolution to climate change, hunger, etc -- should this be surprising? The Emperor’s “divine soul is enshrined here” → not his body, but his soul?! The wood grain in the dark ink adds such character. The foxes’ faces so evocative and individual; their heads have similar shape and color to the fire. Strong sense of magic and mystery, yet again, possibility and plausibility, like with the ghosts. One thing I'll take with me is the use of negative space → in art, architecture, even language.